According to conference participants early calendar, make their payments as normal or late applications. 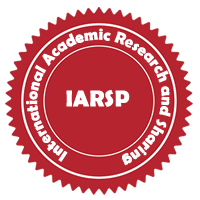 the receipt or payment to the participants address info@iarsp.org PayPal payments should be sent by specifying the name id performing the last name. Due to intense interest, the conference committee can change or reserve the rights to close the registration process before scheduled conference date. Participants are supposed to take in charge of all bank charges.Our account details are as shown below. It is an online payment system that works over the Internet. or by using a credit card to use, allows for safe shopping via the internet or wanted people to just send money via e-mail. Paypal receives 5% commission on reliable payments you will make via Paypal.